I’m taking a break this week from my normal routine, but I still wanted to meet you here in this space. Want to fix a cup of coffee and spend a few minutes together? What do you think fuels our fascination with the coffee break? Not long before moving away from North Carolina, I discovered a love for the coffee at a bakery within walking distance of my house. Because of a food allergy, I had shied away from the bakery for years. But one day I met a friend there for a coffee date and could have kicked myself for all the time—and coffee—I missed. Here in my new California home, I’ve been making plenty of my own tea and coffee, but I’m also determined to learn from my mistake. I’ve tried several local coffee shops and have fallen in love with one in particular. The shop is quiet, even when it’s full (a boon for a stay-at-home writer who needs to get out of the house from time to time). The baristas are friendly. The coffee is delicious. And you can get it in a paper cup to go or in a glass to stay. Most of my visits, I get the glass and sit down at one of the small tables to write. Some days, this shop is the only place where I can get any writing done. I hate to be the stereotypical coffee shop writer, but the amount of work I can accomplish here is worth the price of admission. How about you? Whether you work in an office or at home, what draws you to step away from your desk and head to your favorite coffee shop? Do you have a favorite local coffee shop whose praises you’d like to sing? Do you prefer to go by yourself or meet friends? Do you have a favorite coffee drink? Or take tea instead? I’d love for you to share your favorites in the comments below. Wait … I’ll go grab a cup, and we can sit together here for a bit. 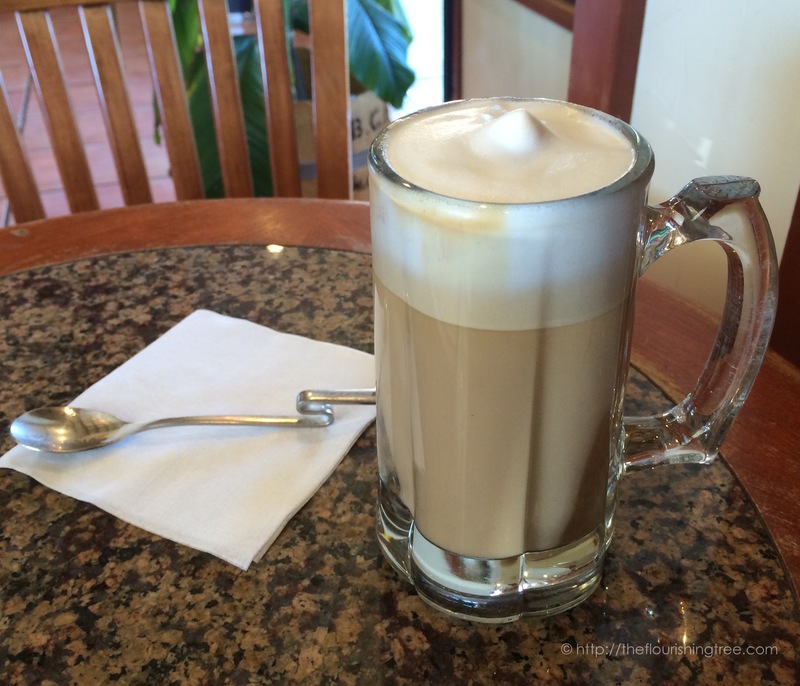 This entry was posted in flourishing tree and tagged coffee, coffee break, coffee date, coffee shop, coffee with friends, favorite coffee, stereotypical coffee shop writer, writing with coffee by hopesquires. Bookmark the permalink. Hope, when the girls were at JYJ, I used to go to Third Place a lot to just sit and write or read or just be. In this home, I haven’t done this so much. But I LOVE to go to my little workshop space, leave all phones in the house and write. After a week away, struggling to get back into the routine. Your post encouraged me. Tomorrow I shall head to the workshop with favorite hot drink in hand. Usually green tea with cashew milk or occasional lattes from my favorite places.